Training a horse is like dressing your kid in Garanimals. It's mix and match so you'll find lots of articles listed in multiple categories below. ​Remember, a carpenter can use the same hammer and saw to build a penthouse, dog house, or outhouse. You should use the same simple principle here. If your horse isn't doing something you want it to do, ask yourself two things: "What body part do I need to control?" and "What cue is my horse ignoring?" The cue to stop? To go faster? To drop it's head? A horse that's rearing won't drop it's head on command. A horse that won't turn needs to learn "shoulder control." If you've got a horse that moves too fast, you can teach it to slow by gaining control over the hips (the driving force behind all that power). ​Ask yourself those two questions. Use that understanding to chart your course, using the articles listed below - in order or a la carte - to build your "dream horse." Make a few small changes - get big results! When properly trained, your horse will not wait for you to pull his head, but instead he'll act as your partner. He'll stay tuned in, mirroring the movements of your hand. You can train your horse about a million times faster when you simply look for little clues he's already giving you - and release that rein at that moment. ​Teach your horse that it's just as easy to walk backward as forward and he'll do so, lightly and quickly. ​From our Learning To Ride a Horse series of free horse-training tips and articles: Improve your horse's back up. Teaching the young horse to pick up the correct lead (any horse, really) is ninety percent "softening" through its transitions. The rest is "positioning." If you're feeling overwhelmed by the sheer number of training articles you find online or you're confused by conflicting advice offered up by friends at the barn... If you don't even know where to begin... Then might I suggest the following? To train a foal (there's lots of time before it can be ridden - here's what to do in the meantime): Get "Your Foal." 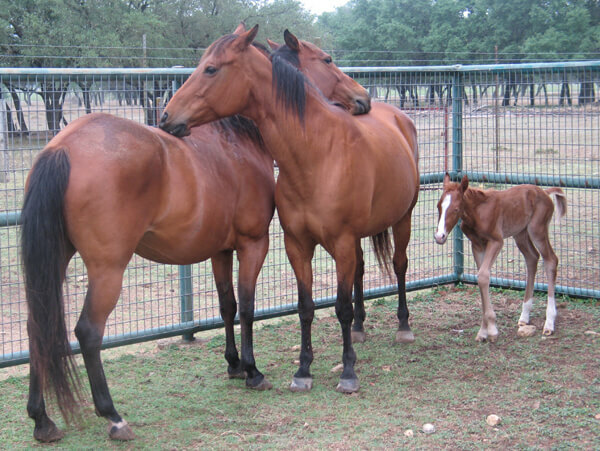 To start a colt, begin with round pen training. See my book (it's brilliant), "Round Penning: First Steps to Starting a Horse." After the roundpen, it's time to break your colt to carry you and a saddle. Get "How to Start a Horse: Bridling to First Ride."